These snakeproof gaiters provide full protection below the knee. Constructed of a durable poly-cotton blend fabric and treated with a patented laminating process to make these gaiters tough, yet quiet when walking. 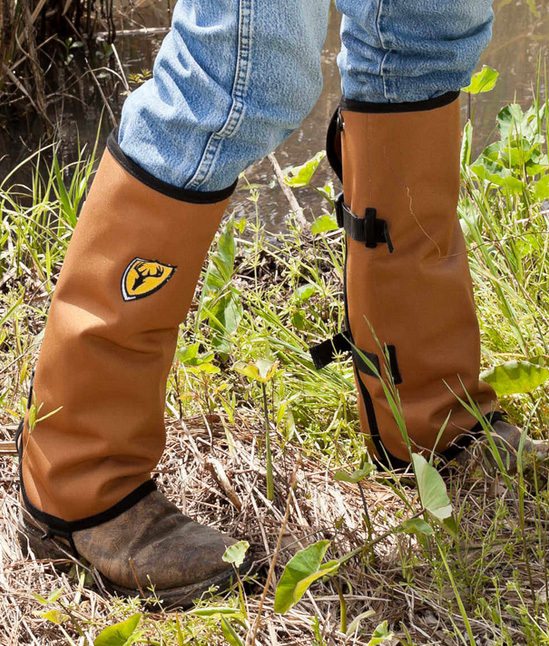 Two adjustable, quick release buckle closures and comfortable contour design keep gaiters securely in place. Color may vary. Choose size from drop down menu. Regular fits up to 18" calf. Large fits 18" to 21" calf.